Women on a Mission: Mom Edition: FIVE DAYS OF HALLOWEEN: E'S DECOR! It is really fun to have the house decorated for Halloween. On the news yesterday that "Halloween is the new Christmas." How about National Lampoon's Halloween Disaster? They could decorate the house in 'metallic pea'. Anyway, I have a few decorations that I put up (didn't the last couple of years when the girls were smaller) and I always laugh when I open up the Halloween decorations orange and black tub one: because it reminds me of my WHS days where orange and black are our school colors and two: because I have my old costumes in there such as when I was Britney Spears and a Not-Quite-Holy-Angel. Good times. 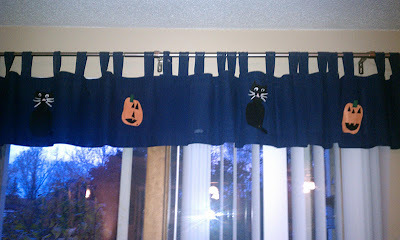 Some of my decorations I made, such as these table runners. It was a pattern that just about anyone could do if you can sew straight lines and cut even angles. If you Google search "how to sew a binding" I think you'll find instructions on how to do it even better than mine. 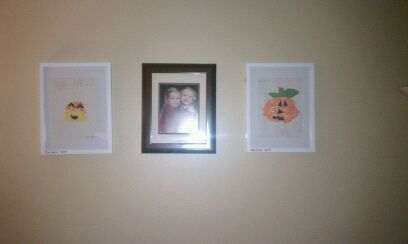 The kid decorations I talked about earlier this week. You can put those up about anywhere. The wood pumpkins were made by my Thrifty Nana's students in wood shop; the spider web candle holder is a gift from Whit (Partylite); and the remainder were finds by Thrifty Nana at after-Halloween sales in years past. After-Halloween sales are where you can find EXTREME DISCOUNTS my Friends. 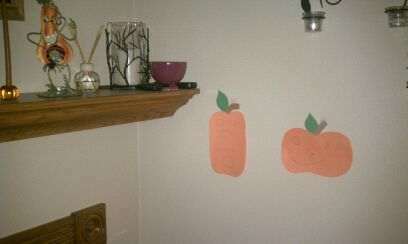 Stores need to get rid of Halloween decorations STAT so they cut the prices right after Halloween. I mean they SLASH THEM. 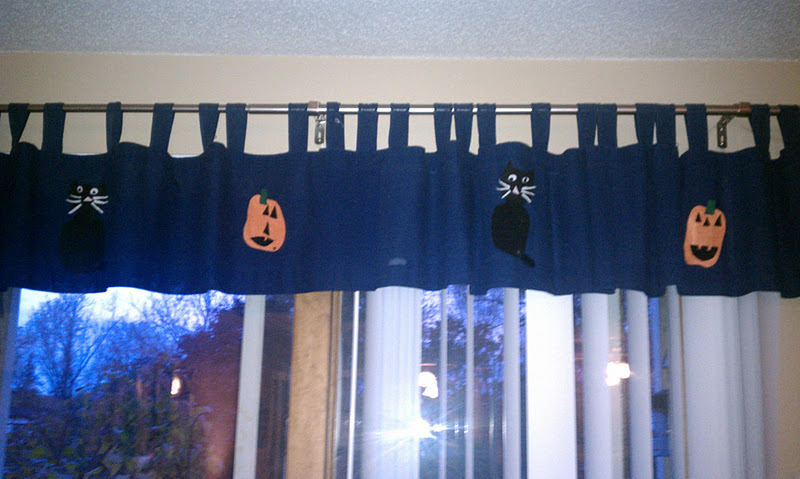 They gotta get Christmas decorations out immediately, so they can't have the orange and black spooky stuff hanging around and in the way. 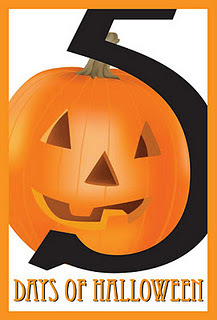 JoAnn has had their Halloween stuff on sale for 60% off for a week now, at least.